Please contact us if you're interested in a free, non obligatory quote. 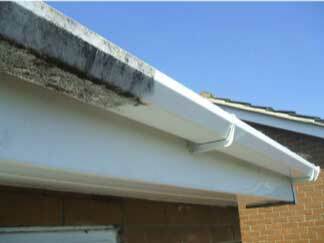 uPVC very often, looses colour and is badly affected by algae and dirt. This builds up over a short time and needs to be regularly maintained. With our equipment, we are able to give the uPVC a deep clean, bringing back out its original colour to rejuvenate the external visuals of the property. We have been an established business since 2015, growing ever since. I feel it is very important to provide excellent and personal customer service to always give a feeling that we are a local business.We are very easy to get hold of so please feel free to contact us anytime.